The Bones kickstarters also had some dungeon dressing and scenery bits, such as this set here. 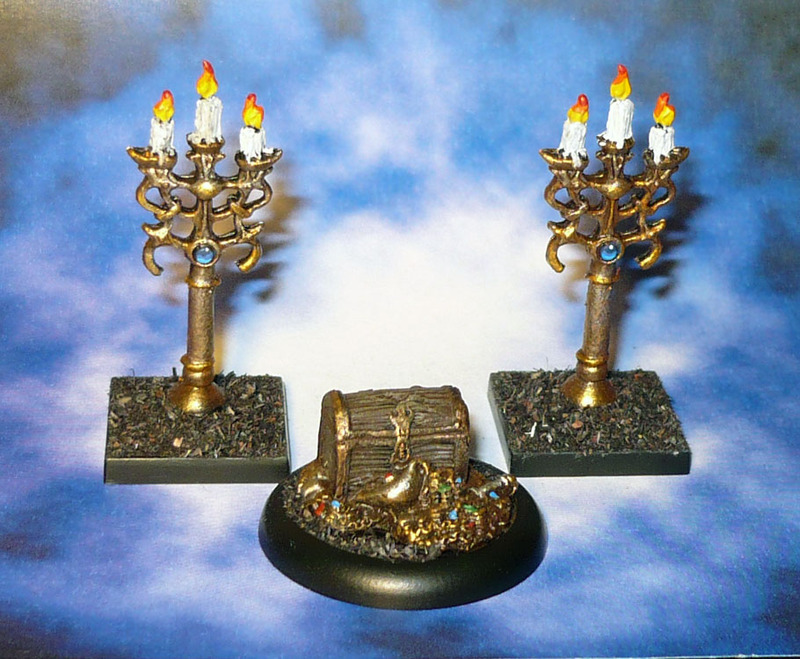 The candelabras fit perfectly into the hole on a Mantic base, and the treasure pile on a 30mm. I used the same black flock as I use on my DreadBall minis. Works a charm. 20mm square and 30mm round bases.